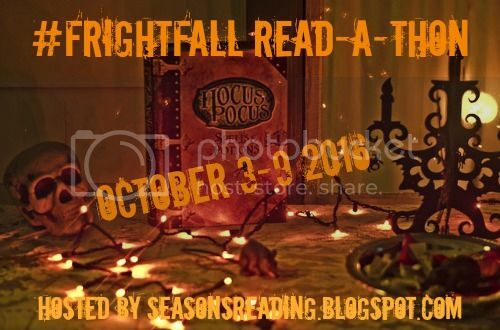 The FrightFall Read-a-thon is hosted by Seasons of Reading and ran from October 3rd-9th. I managed to read two paranormal books and one contemporary book during the read-a-thon - yay! Did you participate in the read-a-thon? How many books did you read? Do you have a favourite? If you didn't participate, have you read anything good so far this month? Thanks for joining us, Marie! You did great. I hope you enjoyed it! Christmas Spirit read-a-thon is coming up in November. I hope you will join us!